@edgeautoport.com will there be another black Friday sale for 2018? 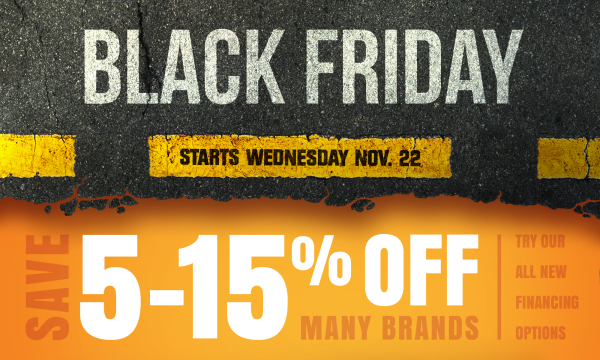 Is there another black friday in the remaining ~month of 2018 other than the one ~edgeautosport.com already said? Panda "Stage 3" Tune, Mods: FSWERKS Cool Flow Intake tube, cobb filter, steeda shift bracket, steeda rsb, OCD V1 3" Catted DP, DIY (Godspeed) IC, Breedt Intake Runner plate, Boomba BOV, Denso 1 step colder spark plugs, Drag DR-34 Wheels, Bridgestone S-04 tires, Ford Racing Springs, CFM RMM (4 inserts), Bilstein B8's, Wilwood 13" BBK up front w/ BP-10 pads, Stoptech slotted rotors in back with HPS pads, JBR solid shifter bushings, Motul 600 Brake Fluid. Lol you guys beat me to our own post! Duece McCracken and Slo86GT like this. What can I say? I like to help!